Baby foot is gross. But if you, too, can watch hours of doctor pimple popper lady videos, you get it. Gross beauty is sometimes the best beauty. Particularly if the payoff is just BEYOND. 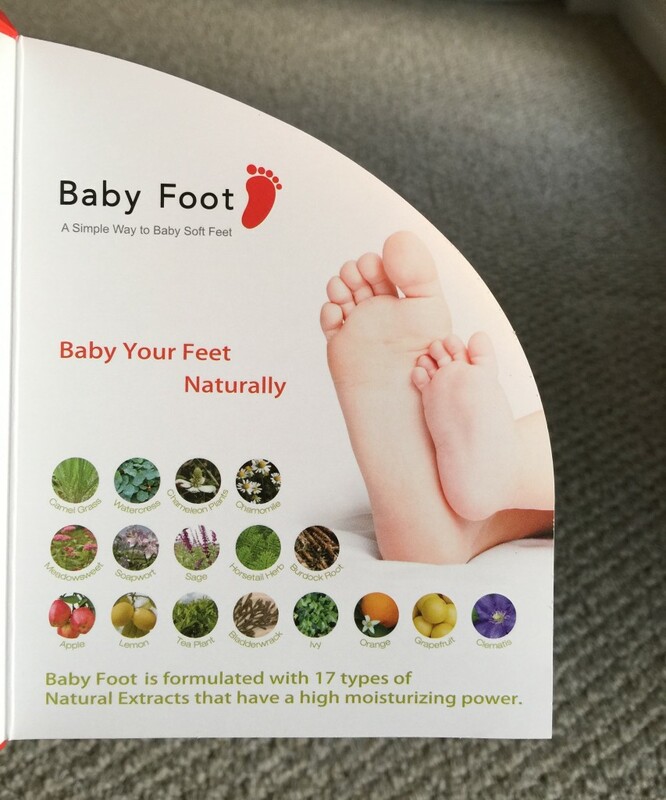 So yeah, I said yes to the Baby Foot sample I was offered at Caravan Studio. Mostly because I had already read other people’s reviews, and the thought of layers upon layers of dead skin falling off my feet left me half disgusted… half intrigued. 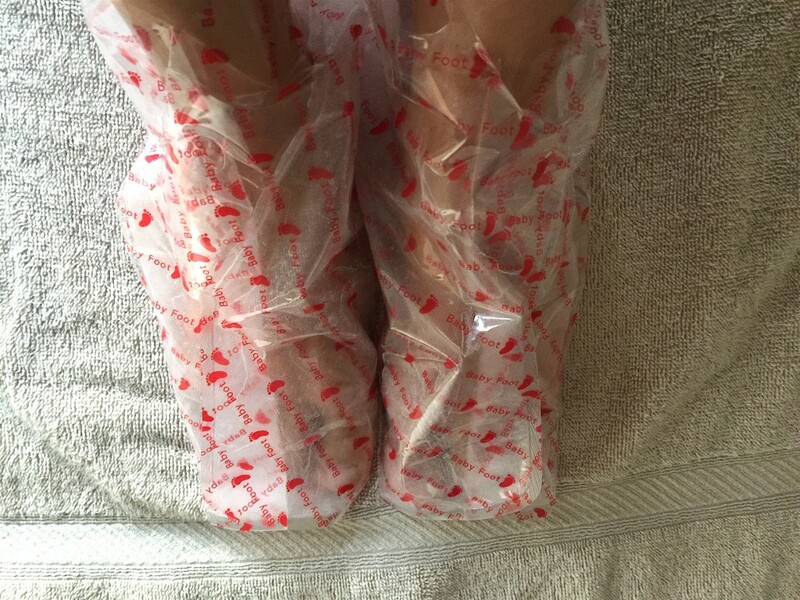 AND as we enter into open-toe season, and with all my pretty sandals lined up and winking at me ready to come out and play over the few vacations I have planned before summer arrives, I just felt – no time but now! 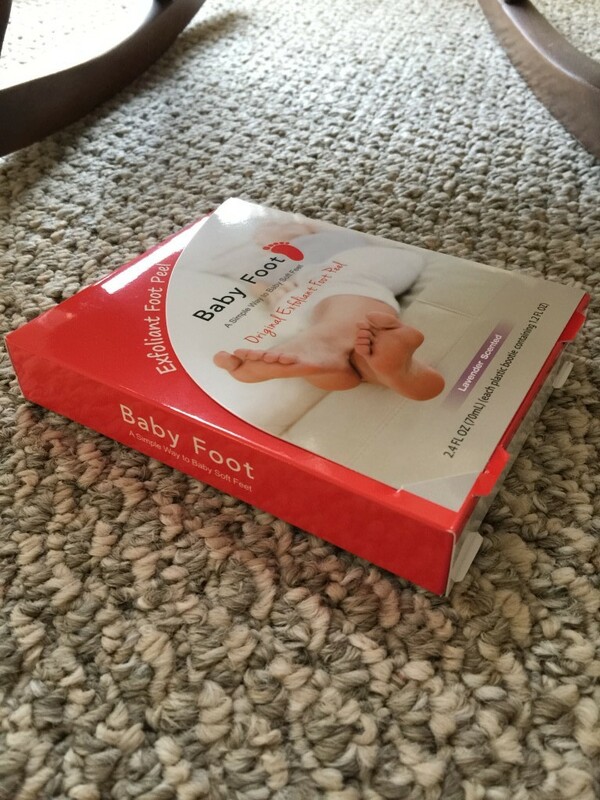 I wanted baby soft feet, dammit, and I was willing to go the distance for them. 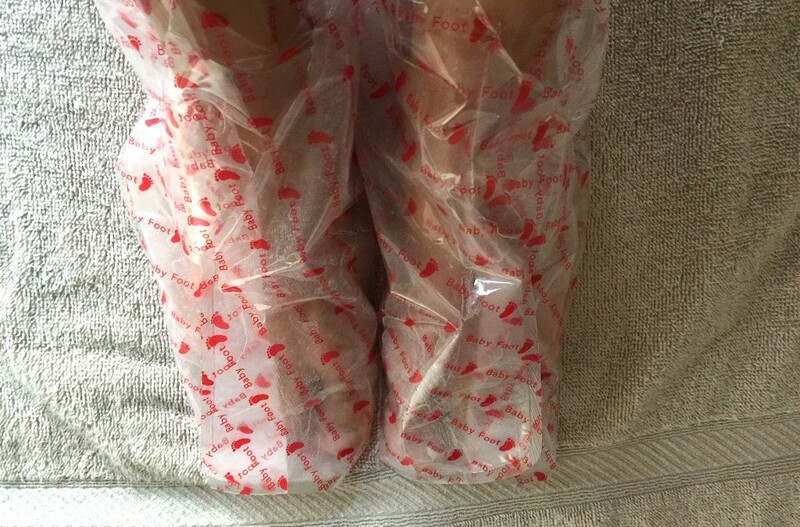 I opened the box and inside were two little plastic booties filled with product that you carefully snip open and put your feet in. 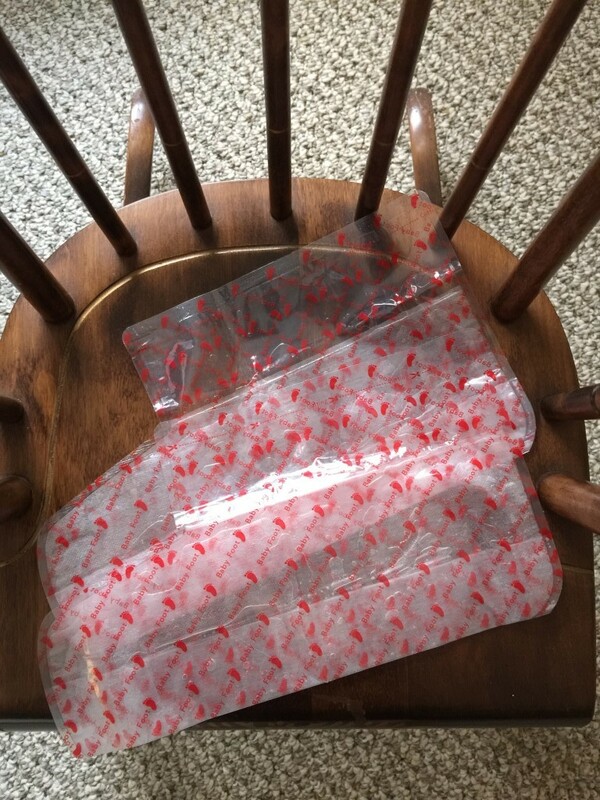 You then secure the opening on top with tape that’s included. My initial reaction was that the smell was very… chemical-ish… for a product billed as being natural with all types of good-for-you extracts. But I got used the strong smell over time. That’s me in my childhood baby rocking chair (I still fit!!) in the Baby Foot booties. You sit with them on for an hour. Walking around is not really advised so I watched some TV with my mom who was fascinated by the product. After an hour, you rinse the gel-liquid off and then you wait. And wait. It takes up to 3 to 7 days for any action to happen. I checked my feet constantly to see if there was any progress. Late into day 3, it started happening. It wasn’t much but the skin on the bottoms of my feet had become verrrry waxy looking and then little tiny flakes started to appear. And then, on day 4 after a long bath, larger areas started to shed. Truly, in a word, it was awesome. The skin beneath was new and soft and supple and perfect. And within the next couple of days my feet were fully reborn! Pedicure and summer sandal and beach ready!!! 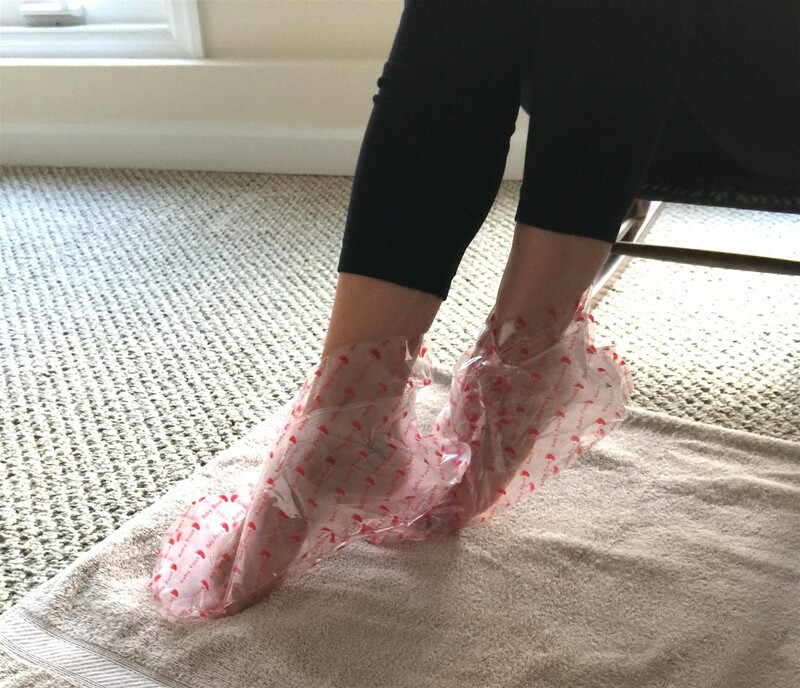 Sure, there are countless ways to exfoliate and nourish your feet, and I’ve tried a ton (and there are many I really like) but I have yet to find anything as thorough. This is literally like a snake shedding its skin. And there’s something amazingly gratifying in that. I totally recommend this product (which costs around $22-$25 depending on where you get it) for anyone who can handle gross beauty as a means to baby soft ends.